'Honorary Blues Legend Willie Buck Way' is the name of a street in Chicago named after Delmark recording artist Willie Buck. 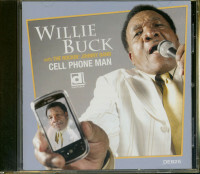 'Cell Phone Man', Buck’s previous album (released October, 2012), debuted on the Living Blues Radio Chart in the #1 position in the December issue along with an eight page feature story and a glowing album review. "His vocals are sinewy and expressive (he demonstrates a powerful upper range that even a lot of his longtime fans will find surprising)… postwar Chicago blues have long been, and remain, a contemporary music to him, and he delivers them with both urgency and élan." – David White. 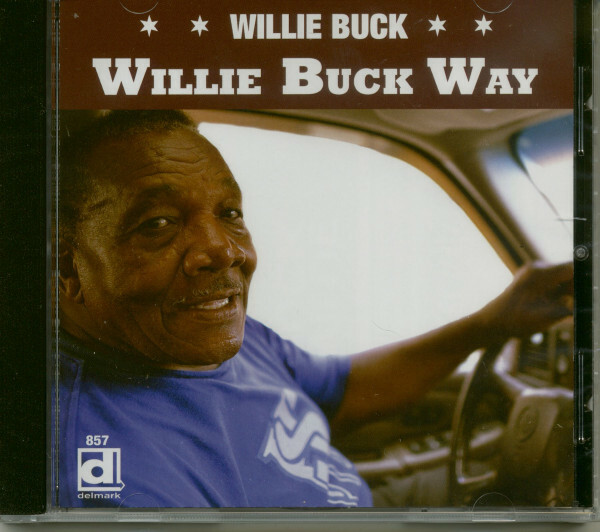 'Willie Buck Way' features seventeen songs of which twelve are new Buck originals. Chicago style blues at its best. WiIie Buck has been ea rig is own an s icago for over 40 years. He's been on the scene since his ar-rival in Chicago as a teenager in the midst of the heyday of Chicago blues in 1953. By the early '80s he decided to put together an album. The result was tough Chicago blues performed by some of the best musicians in the business at that time. 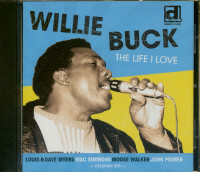 Willie Buck's only LP release became something of a collector's item over the years. The fact that it's being reissued almost 30 years later (augmented with a handful of live tracks from the same era) is a real treat for fans of unadulterated Chicago blues. And Willie Buck is still out there in the trenches, unbend' in his devotion to the classic Chicago blues sound, and bringing it back to where it all began. Ask anyone who has spent any time in the trenches of the Chicago blues scene about Willie Buck, and you'll hear the same things: he's one of the last of the old-school blues singers, one of the few guys who has a real handle on the classic Chicago blues from the '50s, a hard worker who over the years carved out a niche for himself in the south and west side blues joints. Ask someone outside the Chicago scene about Willie Buck, and you're just as likely to get another answer: Who? 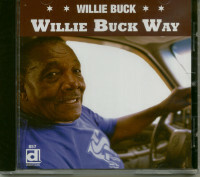 Willie Buck has been leading his own bands in Chicago - featuring some of Chicago's top blues talent - for over 40 years. And he's been on the scene since his arrival in Chicago as a teenager in the midst of the heyday of Chicago blues in 1953. Buck was born Willie Crawford in "the quarter" of the small town of Houston, Mississippi (the nearest 'big town' was Tupelo, about 40 mile away) in 1937, second youngest of eight children. His father was a minister, as were several uncles, but he says a religious upbringing didn't deter anyone in the family from playing the blues. Willie was initially influenced by older musicians in his own family; "My sister, she'd sing and play guitar, and I had a cousin that played guitar. Matter of fact, two of my sisters played guitar." His earliest exposure to professional blues musicians came via B.B. King, who made regular stops at a place known as Sally's Juke Joint in Willie's hometown early in his career. Buck was too young to get in the door, but he'd sit outside and listen. never will forget, the last time he came to my hometown. Some of the guys, they got a little jealous, and cut his tires. He never did come back no more!" Local musicians played Sally's as well; "They had a lot of 'em around there, another guy named Bennie used to play there, and another guy named Walter. This was about the only big club that was there, somebody every week playing there." The family also had a wind-up Victrola at home, and Willie was able to hear some of the big names in the blues on records; "We used to have Big Boy Crudup, I remember one record he made, I Love Your Mellow Peaches, 1 used to play that all the time." Buck also heard B.B. King broadcasting from Memphis on WDIA; "I used to listen to him on that station, he'd come on around 12:00, 12:15 in the afternoon, advertising Pepticon. He would sing that, 'Pepticon sure is good!". After moving to Chicago in 1953, the still-teenaged Willie was able to wrangle his way into the clubs and make some vital early connections; "My brother-in-law was real good friends with Muddy and this guy that used to run this radio station, WOPA. I believe it was, Big Bill Hill. He was on the air five days a week. And by my brother-in-law being such good friends with everyone, they used to let me in the clubs, at least until the owner saw me and kicked me out! We used to see Muddy down at 35th and Indiana, Smitty's Corner. And on 43rd Street, it was called Pepper's, he used to play in there a lot. I was just hanging with him, because I enjoyed what was going on. He'd go up and talk to the guys and say 'He's with me, I'm responsible', and a lot of times I'd get to stay." By 1954, Buck began making some inroads into the Chicago scene. "They'd let me come up and do a song sometimes, and it just kept going from there." But for the most part, music was only a sideline for Willie Buck. He started a family, and made his living as an auto mechanic, confining his blues-making to an occasional appearance sitting in at neighborhood clubs through the '50s and '60s. One memorable night from the mid '60s: "There used to be a club at Orleans and Locust, on the second floor. I got a chance to sing with Little Wal-ter at that club. Dave Myers was with him that night. That was the last time I saw Little Walter, I believe he died a couple of weeks after that show." Around 1970, Willie decided to get more serious about his music, and started occasionally putting together his own bands for the first time and book-ing occasional gigs on the south and west sides. These were comparatively slow times for live blues in Chicago, and as a result Willie was able to assemble bands using some of the very finest players in Chicago, many of whom were then scuffling for gigs. "I used to hire Fred Below on drums, we'd go pick him up. Odie Payne played with me, as a matter of fact, Odie Payne played on Disco Blues" [one of Willie's mid '70s single releases]. Among other notables who worked in Willie's bands dur-ing this era were guitarists Louis Myers, Eddie Taylor, Sammy Lawhorn, Magic Slim and Byther Smith, pianist and long-time friend Johnny "Big Moose" Walker, harp player Big Leon Brooks, and other Chicago stalwarts. To help promote his gigs, Willie produced and released a few singles in the '70s, and by the early '80s decided to put together an album on his own Bar-Bare label. 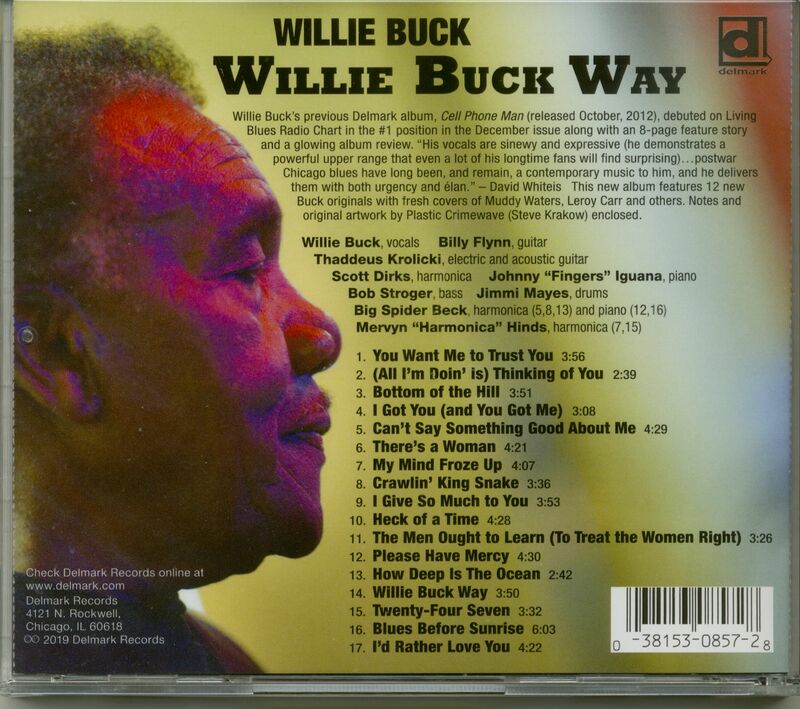 Customer evaluation for "Willie Buck Way (CD)"